Ten years ago this week Australia played their first match as a member of the Asian Football Confederation (AFC), having officially left behind the Oceania Football Confederation (OFC) on January 1, 2006. The largest and most successful nation in Oceania, Australia had come to view the conference which is largely made up of small island nations as providing a poor level of competition, which in turn hurt their chances in major tournaments. 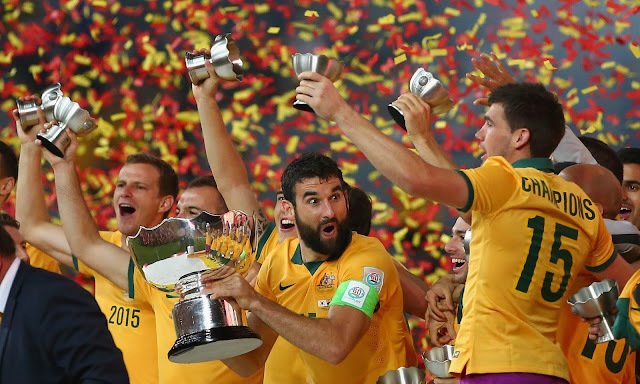 Their resounding wins of 11–0, 22–0 and a world record 31–0 pummeling of American Samoa over the course of their 2002 World Cup qualifying campaign did little to change the minds of Australia's Football Association that a move to the AFC was necessary. Granted no direct qualifying spot for the World Cup, the winners of OFC, invariably Australia, would have to play a two legged qualifier against a side from another region to make through to the finals. 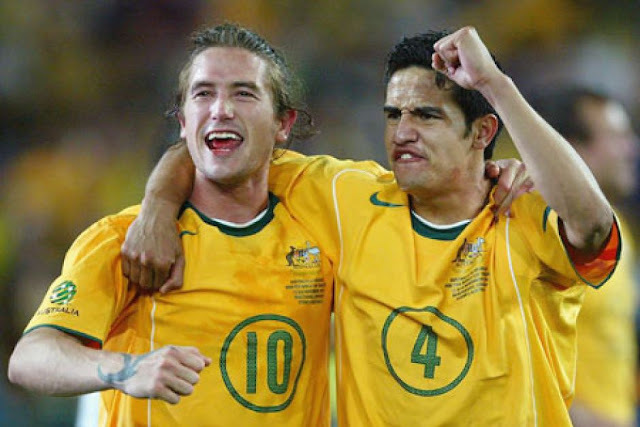 After defeats in 1994 to Argentina, 1998 to Iran and 2002 to Uruguay, the Socceroos finally made it the World Cup in 2006 for the first time since 1974 when they got past Uruguary over two legs. Determined not to have to go through this arduous qualifying process again, and also seeking to benefit from playing higher quality opposition in meaningful matches more frequently, Australia pressed the matter of switching confederations. In 2005 the Asian Football Confederation issued a formal invitation them to join their ranks and the OFC gave their blessing. On 22 February 2006, Australia defeated Bahrain 3-1 in an AFC Asian Cup qualifier. They would make it through to the finals of that tournament with relative ease. After finishing a disappointing 7th in their AFC tournament in 2007, the Socceroos were runners-up to Japan in 2011 after falling 1-0 in extra time in the final, and then came back to defeat South Korea 2-1 in extra time to claim their first AFC crown a year ago. As for the World Cup, after making the move to the AFC, Australia have qualified directly for both the 2010 and 2014 editions of the tournament.